A brown wig cap that was listed and sold by a third-party vendor has reportedly been removed after several people attested to coming across the n-word while skimming the product’s text. 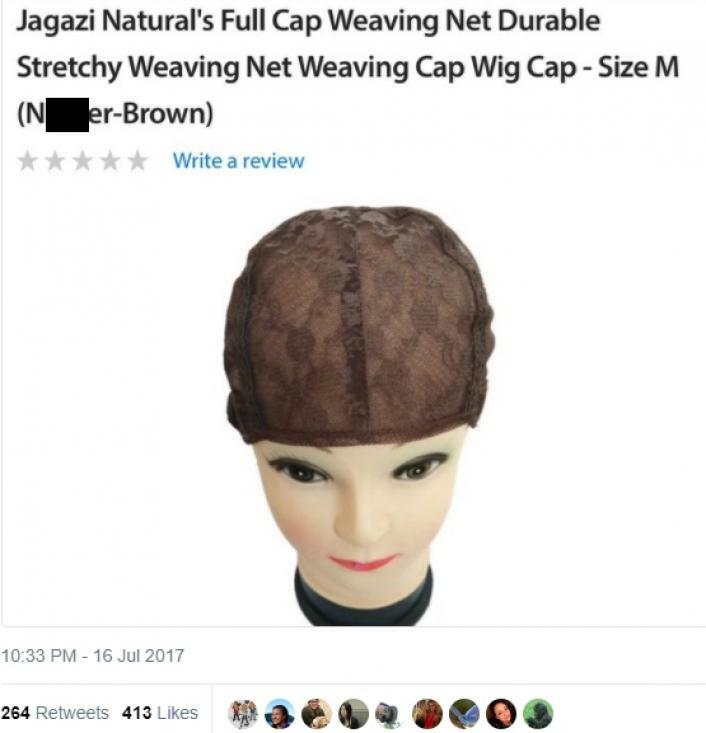 “Jagazi Natural’s Full Cap Weaving Net Durable Stretchy Weaving Net Weaving Cap Wig Cap – Size M (N****r-Brown),” a screen shot that has been circulating the internet reads. The Arkansas-based retailer initially edited the text, but it was eventually removed once the controversy broke out.